In the law regulating historic districts in the United States, a contributing property or contributing resource is any building, structure, or object which adds to the historical integrity or architectural qualities that make the historic district, listed locally or federally, significant. Government agencies, at the state, national, and local level in the United States, have differing definitions of what constitutes a contributing property but there are common characteristics. Local laws often regulate the changes that can be made to contributing structures within designated historic districts. The first local ordinances dealing with the alteration of buildings within historic districts was in Charleston, South Carolina in 1931. Properties within a historic district fall into one of two types of property: contributing and non-contributing. A contributing property, such as a 19th Century mansion, helps make a historic district historic, while a non-contributing property, such as a modern medical clinic, does not. The contributing properties are key to a historic district's historic associations, historic architectural qualities, or archaeological qualities. A property can change from contributing to non-contributing and vice versa if significant alterations take place. According to the National Park Service, the first instance of law dealing with contributing properties in local historic districts occurred in 1931 when the city of Charleston, South Carolina, enacted an ordinance that designated the "Old and Historic District." The ordinance declared that buildings in the district could not have changes made to their architectural features visible from the street. By the mid-1930s, other U.S. cities followed Charleston's lead. An amendment to the Louisiana Constitution led to the 1937 creation of the Vieux Carre Commission, which was charged with protecting and preserving the French Quarter in the city of New Orleans. The city then passed a local ordinance that set standards regulating changes within the quarter. Other sources, such as the Columbia Law Review in 1963, indicate differing dates for the preservation ordinances in both Charleston and New Orleans. The Columbia Law Review gave dates of 1925 for the New Orleans laws and 1924 for Charleston. The same publication claimed that these two cities were the only cities with historic district zoning until Alexandria, Virginia adopted an ordinance in 1946. The National Park Service appears to refute this. In 1939, the city of Washington, D.C. protected in 1950. By 1965, 51 American communities had adopted preservation ordinances. By 1998, more than 2,300 U.S. towns, cities and villages had enacted historic preservation ordinances. Contributing properties are defined through historic district or historic preservation zoning laws, usually at the local level. Zoning ordinances pertaining to historic districts are designed to maintain a district's historic character by controlling demolition and alteration to existing properties. In historic preservation law, a contributing property is any building, structure, object or site within the boundaries of the district that contributes to its historic associations, historic architectural qualities or archaeological qualities of a historic district. It can be any property, structure or object that adds to the historic integrity or architectural qualities that make the historic district, either local or federal, significant. Definitions vary but, in general, they maintain the same characteristics. Another key aspect of a contributing property is historic integrity. Significant alterations to a property can sever its physical connections with the past, lowering its historic integrity. Contributing properties are integral parts of the historic context and character of a historic district. A property listed as a contributing member of a historic district meets National Register criteria and qualifies for all benefits afforded a property or site listed individually on the National Register. A building within a historic district that contributes to the historic character of the district. See Building property type of NRHP listing. An object within a historic district that contributes to the historic character of the district. See Object property type of NRHP listing. A structure within a historic district that contributes to the historic character of the district. See Structure property type of NRHP listing. A site within a historic district that contributes to the historic character of the district. See Site property type of NRHP listing. The line between contributing and non-contributing can be fuzzy. In particular, American historic districts nominated to the National Register of Historic Places before 1980 have few records of the non-contributing structures. State Historic Preservation Offices conduct surveys to determine the historical character of structures in historic districts. Districts nominated to the National Register of Historic Places after 1980, usually list those structures considered non-contributing. As a general rule, a contributing property helps make a historic district historic. A 19th-century Queen Anne mansion, such as the David Syme House, is a contributing property while a modern gas station or medical clinic within the boundaries of historic district is a non-contributing property. Historic buildings identified as contributing properties can become non-contributing properties within historic districts if major alterations have taken place. Sometimes, an act as simple as re-siding a historic home can damage its historic integrity and render it non-contributing. In some cases, damage to the historic integrity of a structure is reversible, while other times the historic nature of a building has been so "severely compromised" as to be irreversible. ^ a b c d e f g h "Early Models," Working on the Past in Local Historic Districts, National Park Service. Retrieved 23 April 2007. ^ a b "The Police Power, Eminent Domain, and the Preservation of Historic Property (in Notes)," (JSTOR), Columbia Law Review, Vol. 63, No. 4. (Apr., 1963), pp. 708-732. Retrieved 23 April 2007. ^ a b Pyke, John S. Jr. " Architectural Controls and the Individual Landmark," (JSTOR), Law and Contemporary Problems, Vol. 36, No. 3, Historic Preservation. (Summer, 1971), pp. 398-405. Retrieved 23 April 2007. ^ For a catalog of early historic district zoning ordinances, see "Further reading" number one, Morrison, J. Historic Preservation Law, pp. 6-9, 12-15, 126, 1965 ed. ^ Hughes, L. Keith. "Use of Zoning Restrictions to Restrain Property Owners from Altering or Destroying Historic Landmarks (in Notes)," (JSTOR), Duke Law Journal, Vol. 1975, No. 4. (Sep., 1975), pp. 999-1019. Retrieved 23 April 2007. ^ a b c Historic and Scenic Preservation Local Option Property Tax Reimbursement, Maine Historic Preservation Commission. Retrieved 19 February 2007. ^ ORDINANCE NO. 2001-02, (PDF), Danville, California ordinance, California Office of Historic Preservation. Retrieved 19 February 2007. ^ a b c d National Register Historic Districts Q&A, South Carolina Department of Archives and History. Retrieved 19 February 2007. ^ Iowa City Historic Preservation Handbook, (PDF), Iowa City Urban Planning Division. Retrieved 26 March 2007. 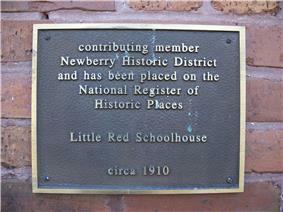 ^ Historic Districts, Town of Wake Forest, North Carolina, Official site. Retrieved 9 April 2007. ^ a b East Grove Street District, (PDF), National Register Nomination Form, HAARGIS Database, Illinois Historic Preservation Agency. Retrieved 26 March 2007. ^ "Sycamore Historic District," (PDF), National Register of Historic Places Nomination Form, HAARGIS Database, Illinois Historic Preservation Agency. Retrieved 23 April 2007. Morrison, Jacob H. Historic Preservation Law, New Orleans: Pelican Pub. Co., 1957. Further editions published in 1965, 1972 and 1974. (ISBN 9780891330196), (ISBN 0891330194).